Turn on your visual imagination while listening to Tull’s Reflection on Paris, Mahr’s Children at Play, Jacob’s chamber work Old Wine in New Bottles, Woolfenden’s Illyrian Dances, and an encore performance of Greg Sylvester’s Homage to a City, a work commissioned by MSW. Paul Kile will conduct Yagisawa’s thrilling Machu Pichu – City in the Sky. 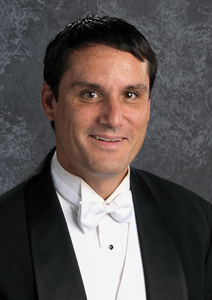 Paul Kile is associate conductor and long-time member of the Minnesota Symphonic Winds, and regularly leads the Edina High School band in joint performances with MSW. A delicious mix of music fills our picnic basket for this season-ending concert that celebrates the coming of summer. Musical treats will include the war-horse transcription of Tchaikovsky’s finale to Symphony No. 4, Giroux’s Italian Rhapsody, Basler’s Mangulina, Parker’s Clowns, and a smattering of Broadway medleys, marches, and patriotic music.